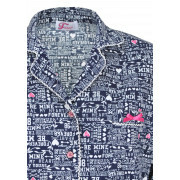 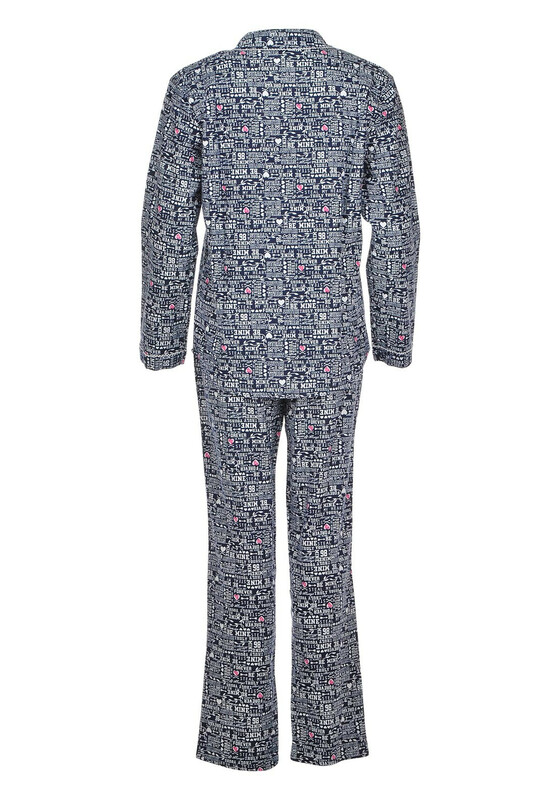 Much loved pyjama set by Fresh Nightwear with feminine pink hearts and glitter pink buttons. 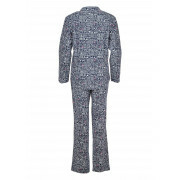 The navy top and bottoms have white text all over, collar on top with long sleeves, button through and chest pocket with pink bow detail while the bottoms have an elasticted waistband. 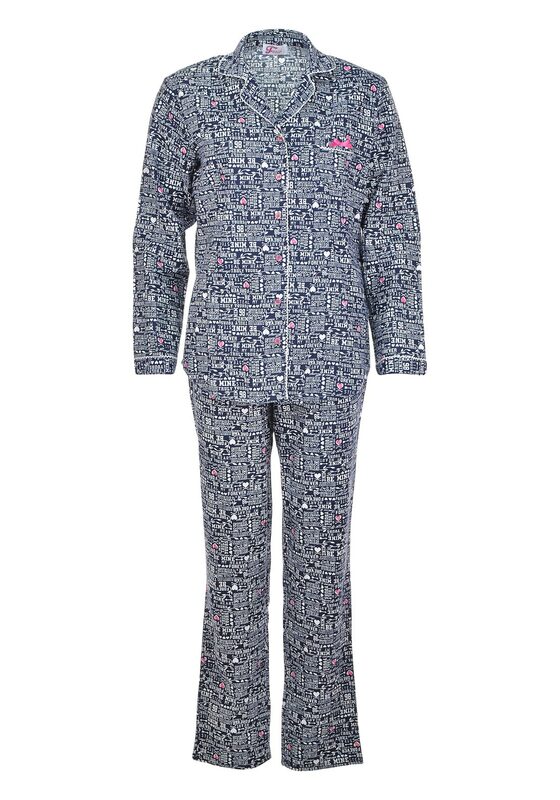 The flannel keeps you warm and cosy.